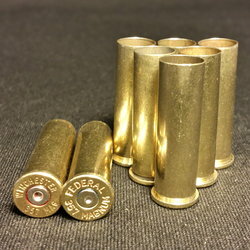 454 CASULL NEW STARLINE | DiamondKBrass.com | 100 Ct.
NEW .45-70 GOVT STARLINE 50 ct.
.32 S&W Long - 25 ct. 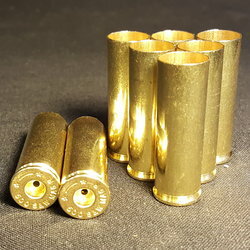 I purchased 300 nickel plated .357 mag cases from Diamond K Brass. This was my first purchase from this operation and I couldn't be happier. Transaction went very smoothly from start to finish. Shipping was quick as promised and product was exactly what I expected. All the cases were shiny and clean and the count was generous. Would not hesitate to order from them again. You guys are awesome. Thanks Jeremiah for the Super Fasttttt 2 Day Shipping. Just got 500 more .223 and 500 .40. 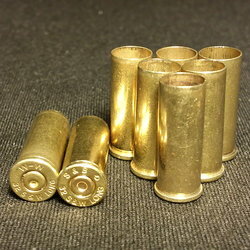 This is my 3rd order and all is good quality brass. I've been buying from these folks for a while and the best comment that I can give is - I wish that these folks worked for me. Great service, super quick shipping. These's a lot of businesses out there that could learn something from this company. 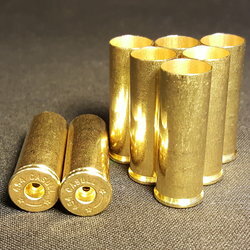 I ordered 2000 rounds of polished 223/556 brass. Fast shipping, on my doorstep three days later. I did not count the number of cases that arrived but the headstamp breakdown is as follows: 5.56-WCC 40%, LC 32%, FC 16%; assorted 223 headstamps 12%. Brass well polished with only five rejects in the lot. Great product and service. I have always been completely satisfied with the products and customer service. 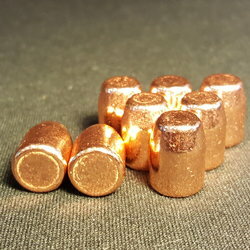 Diamond K Brass is one of my bookmarked, go-to suppliers of excellent, fairly priced once fired brass.